3 The Affiliate Oracle -> Who is it for? 4 The Affiliate Oracle tools required? 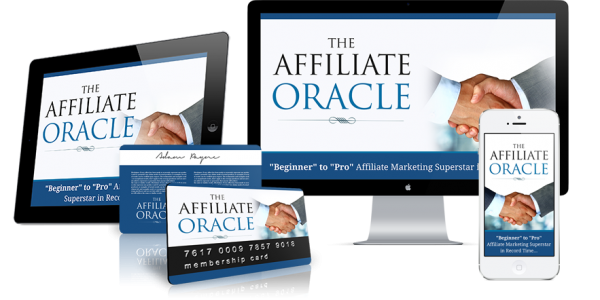 Last year I created and sold one of my own products called the Affiliate Oracle. It was a membership site that I priced originally at $9.95 before upping it to $17. There are 12 modules overall PLUS monthly updates. Scroll down the page for more detail on that. These are the same techniques I use to run affilaite campaign in many niches. In the below review video, I show you a $5K campaign that I got in approx 4 days just before Christmas. The Affiliate Oracle -> Who is it for? I’ll be honest, not for everyone. If you are already a very skilled and successful affilaite marketer then this may not be necessary. Also, if you are really struggling for money and are thinking this ill be your golden ticket, then stop. It won;t. This, like anything, requires work, consistency, testing, tweaking…and many campaigns will fail. That is part of affiliate marketing. Mindset is vey important. The Affiliate Oracle tools required? Traffic, depending on your chosen method will also be a cost. This is reality and the facts of doing online business.